I guess Easter has inspired my love for pastels lately.. these may even be our Easter outfits this year. GORGE! if i could just look half as amazing as you do, i'd be so content with my body. and as always, that baby girl makes me melty inside. You look lovely! You wear everything here flawlessly. LOVE the shoes in particular...made me want to peruse CR's flat selection. love!!! 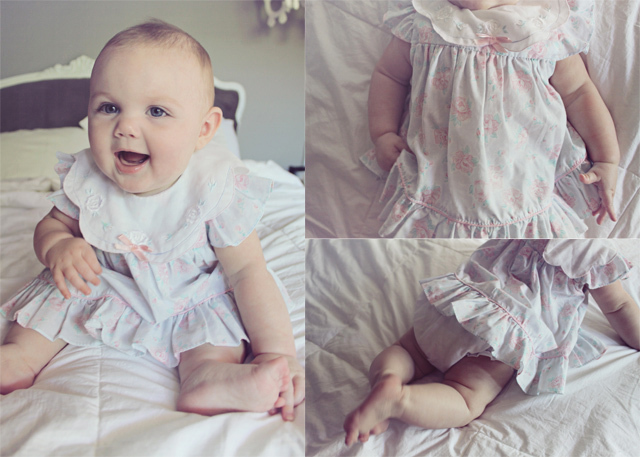 you are inspiring me to get such cute outfits for baby and i. You look darling!! What a sweetie your little one is! Love that dress! And Rowan looks adob, as usual. I have been a little obsessed with pastels recently too. I love that dress on you, it is perfect.